It’s hatch green chile time! Here in Austin, the grocery stores get excited each year at this time for hatch green chiles to arrive from Hatch, New Mexico. I have no idea if this is a thing in other parts of the country or not. 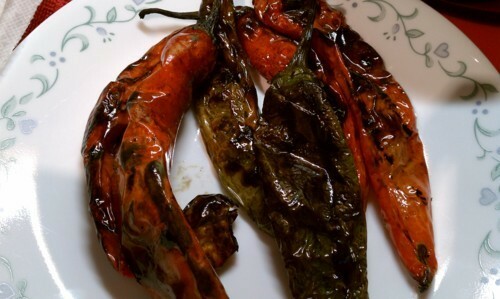 The grocery stores offer both fresh and roasted hatch chiles and a variety of other hatch flavored foods. Chuy’s even makes a special menu that we always go check out. For dinner this week, I decided I wanted to make something with hatch chiles for the first time in my 9 years in Austin. 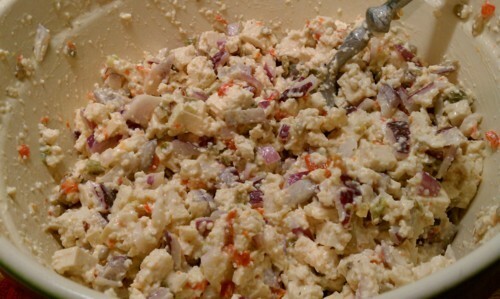 I decided on a play off of chicken salad that uses tofu instead. 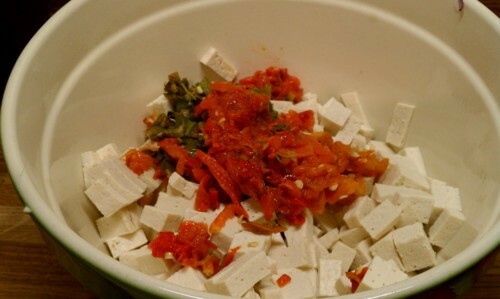 I combined extra firm tofu, patted dry, with diced red onion, roasted hatch chiles, sunflower seeds, and mayo. 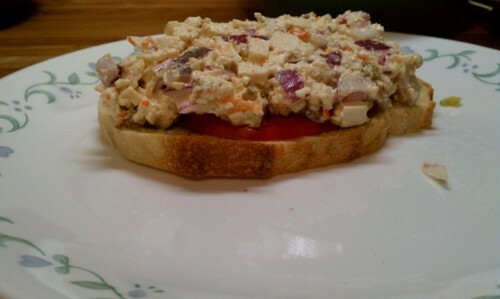 We ate the tofu salad as an open faced sandwich on a slice of sourdough bread topped with a slice of heirloom tomato. Man, did they turn out spicy! I used 6 roasted chiles, 3 of them mild and 3 hot. 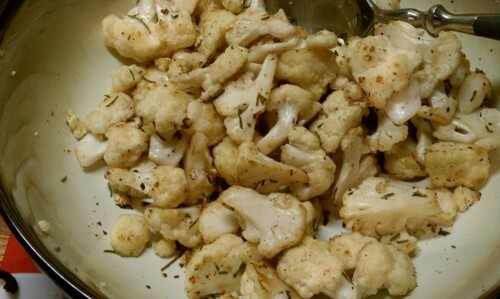 On the side, I made roasted cauliflower tossed with olive oil and rosemary from our garden. It’s really the only thing left alive. I decided that while the 110 degree air outside probably could roast the cauliflower and chiles, it most likely would take too long. Instead, I fired up the grill and roasted them myself. 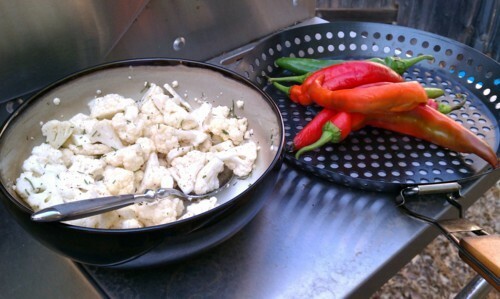 I then had to remove the skins from the chiles because they are quite crisp. Luckily my husband mentioned that because I was ready to leave them on. All in all, a quite tasty sandwich. Sometimes I feel that food made with hatch green chiles isn’t all that exciting. However, I definitely enjoyed this sandwich, especially after my mouth stopped burning.